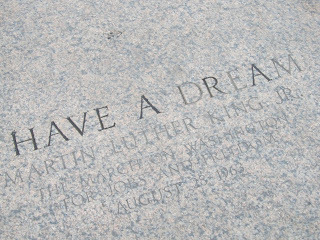 Here's hoping many of the U.S. fans have today off in celebration of the birthday of Dr. Martin Luther King, Jr. Personally, I feel it is one of the most important days to remember a great man in our history, but it is also a very delicate subject. Come see how I have handled it in second and third grade classrooms. I have had good success getting students to reflect and connect, and I am sharing it with you. It's not a complicated idea and is simply based on my favorite book about Dr. King and its accompanying tear-jerker of a video. Read all about it here. Hi Rachel, I just posted about this book and video Saturday. It's one of my favorite lessons on MLK. I also created a writing response printable to follow up the video, if you are interested. I just visited your site. Thanks for the background information on the video, and the Pinterest activities, too!